1- A piece of news has come from Egypt that the Egyptian President Abdel-Fattah Al-Sisi has criticized in public, within a conference, the head sheikh of Al-Azhar, who was among the attendees of that conference, because the Azharite clergy, university, and institution have failed so far to issue religious legislation to prohibit and ban verbal divorce (making written one as the only legal form) that has caused the destruction of family-life of thousands of married couples inside Egypt, making Egypt on top of the list of countries regarding divorce rates. President Al-Sisi has announced that the Egyptian Parliament will issue the needed law away from Al-Azhar. 2- Celebrating the Police Day on Tuesday, 24th of January, 2017, President Al-Sisi said to the head of Al-Azhar, Ahmed Al-Tayyib: "You have tired us very much, O Sheikh!". In previous occasions, the Egyptian President told the attendees, during televised speech, about the head of Al-Azhar: "Whenever we meet with Grand Imam, we tell him that he torments us because of his lack of taking action". In a previous occasion, Al-Sisi addressed Azharite clergymen by asserting that he will complain of them before the Lord God on the Day of Resurrection, because they do not perform their duties in a satisfactory way, regarding reforming religious discourse in Egypt. Of course, we remember that this happened when Al-Azhar clergy have ignored repeatedly the urging of the Egyptian President, in vain, to begin as soon as possible taking measures to purge Azharite curricula of faulty notions leading to terrorism and to reform religious discourse to make it less fanatic and extremist. 3- Azharite clergy have not only ignored the repeated call of Al-Sisi, but also the head of Al-Azhar, Al-Tayyib, declared in public many times that he refuses to introduce any sort of reform. 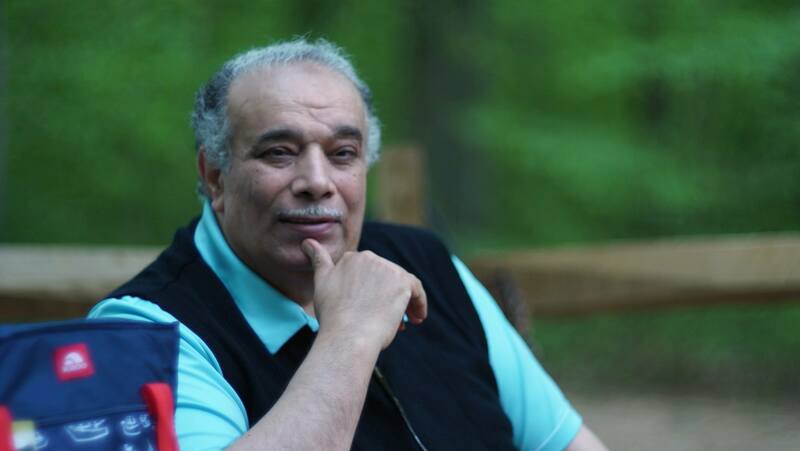 Rumors have it that Azharite clergy have allegedly 'forced' Al-Sisi regime to imprison the Muslim thinker, writer, TV presenter, and reformer Mr. Eslam Al-Beheiry, because Al-Beheiry defied Al-Azhar and questioned and criticize Azharite curricula that incite extremism and terrorism. Again, Azharite clergy have allegedly 'forced' Al-Sisi regime to cause the journalist/media anchor Mr. Ibrahim Eissa to be fired from his job as a TV presenter in the satellite channel in which he used to work, because Eissa virulently criticized the KSA, Wahabism, and Al-Azhar (and its Wahabi curricula) – though Eissa has been very close to Al-Sisi and his regime. Thus, recently, when Al-Sisi has criticized head of Al-Azhar in public on 24th of Jan. 2017, concerning the Azharite refusal of rendering verbal divorce as void and acknowledging only written divorce papers, Al-Tayyib defied Al-Sisi by adamantly refusing to tackle this topic. Soon enough, a piece of news has come from Egypt that the Supreme Council of Azharite Scholars requested from Al-Tayyib to hold an emergency meeting to refute criticism leveled at Azharite clergy by the Egyptian President and media anchors and figures as well as journalists. 4- In fact, the Egyptian President on many occasions has eaten his words and retreated in his stances before the unwavering, adamant stance of the head of Al-Azhar with the fossilized Wahabi thought; in the first year of his presidential term, Al-Sisi vehemently and vociferously called for religious-intellectual revolt of reform, but he lost interest soon enough and began to take lenient attitudes, and in Jan. 2015, Al-Sisi declared to the press that he praises the role played by Al-Azhar especially outside Egypt, but he asserts the need of introducing change in the religious discourse inside Egypt to curb extremism and fanaticism, but he urged citizens not to attack or criticize Al-Azhar. 5- In contrast to the above, we have asserted the following. 5/2: There was a heated debate and struggle between us and the former late head of Al-Azhar M. Sayed Tantawi; because we had knowledge while he was an ignoramus who had too much authority and power, which he used to cause the Mubarak regime to imprison us in 1987 along with more than 60 of our fellow Quranists. Indeed, Tantawi wreaked his revenge against Ibn Khaldoun Center because it adopted our ''Project of Reforming of Religious Education in Egypt" propagated and led by us in 1998-1999. We managed to flee to the USA and to seek political asylum before the warrant of our arrest was issued in 2001. We kept attacking Tantawi on our website, and he used his influence and power to make the Mubarak regime persecute and incarcerate some of our family members in 2007 and 2009. Tantawi perished in 2010. The eldest son of Mubarak has appointed Al-Tayyib as the head of Al-Azhar instead of the late Tantawi. The reason: Al-Tayyib was a good servile obsequious crony of the eldest son of Mubarak who began at the time to assume political role that showed how Mubarak was preparing him as his successor. In return to services offered by Al-Tayyib, the eldest son of Mubarak appointed him before as the head of Al-Azhar University, and then the head of Al-Azhar institution in 2010, but he is more ignorant and corrupt in comparison to Tantawi! On our website, we have attacked Al-Tayyib in one article written on 26th of Jan. 2011 because he supported Mubarak in public instead of supporting the revolt of 2011 in Cairo that ousted Mubarak. 5/5: When we used to teach as an assistant professor at Al-Azhar University, History Department, from 1973 to 1987, we used to wonder how most sheikhs and clergy were a group of ignoramuses who insisted to make their students more ignorant than they were. Each Azharite generation was more ignorant than the previous ones. The generation that graduated from Al-Azhar University in the 1990s are ignoramuses who control religious life with all its aspects in Egypt now: in the media, in mosques, and in education, and partially in the cultural aspect of Egyptian life, within the Ministry of Culture. We knew later on that being an ignoramus was the perfect qualification of Azharite sheikhs to be promoted and gain money as long as rulers and their cronies, retinue, and circles members are satisfied with servility and obsequiousness of sheikhs all over Egypt, by supporting whatever Mubarak did or said. Hence, we see now the exact opposite happening: the ignoramus Al-Tayyib seems to be stronger that President Al-Sisi and he defies and ignores the President. This needs further analysis below. 1- We are an Azharite sheikh, formerly, who is enlightened and believes in Islam (i.e., Quranism) as a religion of peace, freedom, justice, mercy, charity, democracy, and human rights. We have creatively managed to make use of our field of specialty and expertise in history of 'Muslims' (i.e., the Muhammadans) and their religious traditions to shoe how their earthly, man-made Sufi, Sunnite, Shiite religions and fabricated legislations contradict Islam (the Quran alone) and its Quranic sharia laws and principles. The creative enlightened Azharite sheikh like ourselves has not time and desire to flatter any rulers because of his self-respect and to preserve his independence as a free thinker. Middle-East rulers hate such the likes of us, free thinkers who call for democracy, all types of freedoms, and human rights while siding with the weak oppressed ones worldwide. Thus, our presence posed a threat to Mubarak because we talk from within the Quran (real and only Islam). Tyrants like him obsequiously served the wealthy KSA and hated enlightened thinkers; he liked ignoramuses (especially clergy) who would readily flatter him and vie to please him as their deity at any cost, thus serving his interests and purposes. When a knowledgeable person like us exposes their ignorance, they fear to lose their authority, power, and wealth, thus, the corrupt clergy would readily incite the ruler against us, and this is why Al-Azhar and the KSA urged Mubarak to imprison and persecute us and our fellow Quranists as well as some of our family members in Egypt. Powerful rulers ride the clergy who serve him, but weak rulers who need clergy more than the need of clergy for him would allow more power to be confiscated willy-nilly by clergy, who use outside power (i.e., the KSA) to defeat the ruler in any rounds and battles. 2- For instance, President Nasser was a powerful tyrant who controlled Azharite clergy from 1954 to 1967. In contrast, President Sadat allied himself to the KSA and the terrorist MB group members who assassinated him in 1981, and during his presidency, Al-Azhar and its sheikhs and clergy grew more powerful than ever. The Law of Al-Azhar No. 103 of 1960 introduced by Nasser was wasted by Sadat who interpolated inside it an explanatory memo that annulled many good points in this Law and rendered it useless and profitless. We have discussed this in one book of ours, who link is provided above, as well as in one lengthy article of ours about essential freedoms never protected by law within Mubarak's Egypt. Indeed, Al-Azhar grew more powerful in the era of Mubarak because of Saudi influence and money, to the extent that the Mubarak regime incarcerated us to please Al-Azhar powerful sheikhs, especially Tantawi, and the Saudi regime. 3- The current Egyptian President, Al-Sisi, goes now through a critical phase or situation; he is worried about any military leaders who might seek more power, about any possible revolt by angry people in the future within the present crisis of inflation and soaring prices, about hidden and overt struggles of tycoons for more power and hegemony, and about the KSA whose relation with Egypt is at risk. Indeed, Al-Sisi needs support money of the KSA but he refuses to gratify the Saudi regime in anything. The reputation of Al-Sisi is not very good within international organizations, and this might increase his fears when he leaves office one day. Hence, he feels the urge to make sure that Azharite clergy are supporting him; yet, these corrupt clergy when they grow more powerful, they like to receive more power than to lend any support to the president. This is why Al-Tayyib enlists the aid of the eager KSA against the desire of Al-Sisi to apply immediate religious reform in Egypt. The ignorant Al-Tayyib likes to stick to centuries-old traditions so as not to expose his ignorance and to serve the KSA, and its Wahabism, which pays handsomely those who help the Saudi Wahabi regime. Hence, the KSA and the head of Al-Azhar share a desire to vehemently oppose the wish of Al-Sisi to reform and change religious discourse in Egypt. Lastly: head of Al-Azhar gains support from the KSA regime, but from which source should President Al-Sisi seek support? 1- The answer is as follows: from the USA and President Donald Trump. 2- Indeed, Trump is in earnest in his willingness to fight and combat ISIS terrorists to get rid of them once and for all. The new American administration is not friendly with the KSA, as was the case with the one led by Obama, and it realizes the importance of waging intellectual war against Wahabism and ISIS, because those terrorists randomly recruit some American citizens to commit terrorist attacks and explosions inside the USA. The new American administration knows quite well that the military confrontation against ISIS is not enough to get rid of religious terrorism once and for all; because as long as the Sunnite Wahabi culture, that caused ISIS to emerge, remains powerful, tens of ISIS-like more blood-thirsty terrorist organizations will emerge in the future. What the new American administration must understand soon is that the more dangerous than ISIS are the two locations protecting, sponsoring, propagating, and defending the Wahabi culture of terrorism: the Cairo-based Al-Azhar in Egypt and the KSA (Riyadh: the Saudi regime). 3- The new American administration will understand, sooner or later, that to defend American soil and citizens entails thorough reform of Al-Azhar institution as well to eradicate the Saudi Wahabi terrorist thought. 4- Hence, the desire of reforming Al-Azhar may be shared by both Abdel-Fattah Al-Sisi and Donald Trump. We personally are ready with our writings to tell both presidents what they should do in this intellectual war of ideas from within real Islam.